At Map Waste no job is to big or small, we can provide anything from a small wheelie bin through to a complete house or factory clearance. 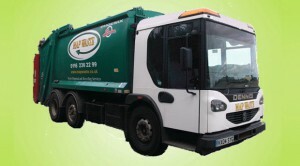 Our waste clearance service can be tailored to your requirements. We offer house, office and commercial clearances across Leicestershire, being based in Anstey, Leicester, we can often provide a next day service to ensure the job gets done quickly and efficently. You can contact us for a free quotation either by filling out your details or requesting a full quote on contact page or by calling us on 0116 236 2299 for further information. We can dispose of any type of waste, whether this be household goods, confidential papers or fabrics. Our company believe in sustainability which is why we always aim to recycle everything we can during a large clearance. Currently we offer recycling for wooden, paper and cardboard based materials and others where possible. If you have concerns over the type of materials you have and would like to discuss your options in a bit more detail then don’t hesistate to contact us on 0116 236 2299, our friendly and experienced staff will be able to answer any question you may have on the recycling process.